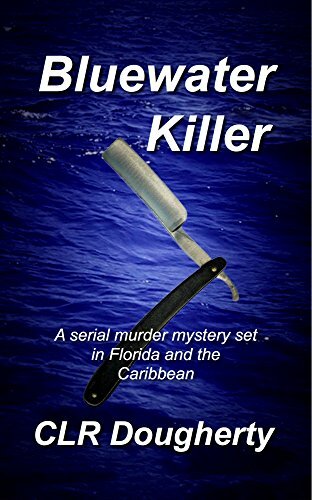 A serial killer is roaming from Florida to the Eastern Caribbean. His victims are women who hitchhike on his sailing yacht. He hides his crimes by disposing of their bodies at sea. Picking Dani Berger as his next victim is his big mistake. Enjoy the adventure as Dani’s friends pursue the killer through the islands under sail. Meet some true-to-life island characters as they solve the mystery of the missing women. If you enjoy action / adventure stories with strong female lead characters, the Bluewater Thrillers were written for you. Bluewater Killer is the first novel in the Bluewater Thriller series. Dani Berger, introduced as a victim in this story, emerges as the tough, self-sufficient protagonist in the series. By the end of Bluewater Killer, she’s angry and determined to get even. This is the story of her rescue and the beginning of her quest for vengeance. If you’ve ever dreamed of escaping to the islands and are charmed by the idea of living the dream aboard a classic sailing yacht, you can get a feel for what it’s like from reading this book and the others in the series. Feel the spray and smell the clean sea air while you admire the islands. Start reading Bluewater Killer now!